There have been many breakthroughs and innovations in the field of medicine. The healthcare system that we know of today is incomparable to the medical practices observed and practiced decades to centuries ago. But let’s admit it, things are better the way it is now than it was before. If you watch old films or documentaries that show the medical practices in the past, you’d be shaken at the agony patients had to endure in the name of science. Some think that the science of medicine that we know of today will be here for good but we are badly mistaken. We only have room for progress and at the rate things are going, technology has a lot to do with the direction medicine is taking and we can only aspire for better things to come our way.The medical practice today all boils down to patient assessment through the symptoms exhibited by patients, which may be interpreted differently depending on the physician and sometimes, underlying conditions can trigger different symptoms that will lead to misdiagnosis. Then, personalized healthcare will definitely be a welcome reprieve for all of us. In fact, it may also be the key to reducing morbidity and mortality rates that are constantly going up because of our unhealthy modern lifestyle. Imagine a future in which, rather than using symptoms to identify a disease, your genes, metabolism, and gut microbiome inform how your individual health is managed. This is the vision of precision medicine. Traditional medicine uses symptoms to diagnose diseases, and drugs to treat these symptoms. But precision medicine aims to turn this concept on its head. By identifying the factors that predispose a person to a particular disease and the molecular mechanisms that cause the condition, treatment and prevention strategies can be tailored to each individual. So, how do we get from traditional to precision medicine? Advances in genetics and molecular analysis techniques have been a deciding factor, as has getting patients involved with managing their own health. Treatment will no longer be based on a patient’s symptoms but take a more tailor-fit approach that analyzes your genes, metabolism, and essentially the biomolecular makeup of your body. It is what precision medicine is all about and this can be turned into a reality with the help of the right technology. Eventually, it will empower patients to manage their own health. The question now is whether everyone can afford to enjoy this more tailor-fit approach to healthcare or will this be a privilege that only a select (rich and affluent) few can only afford? Whether offering tips on basic genomic facts or exploring the practical implications of precision techniques for hospitals and health system, the MINC toolkit is meant as a “starting point for healthcare providers who want to promote genomic integration into practice to benefit their patients,” said Laura Lyman Rodriguez, director of the division of policy, communication and education at NHGRI. It can help nursing leaders care for patients who are undergoing genomic testing and treatment and better prepare their workforce for fast-emerging clinical applications, she said. Precision medicine is already here. 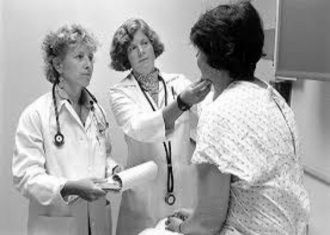 While it is not generally practiced mainstream, there are certain smaller health institutions that practice it to help medical experts (the health team) gradually get used to this approach in the clinical setting as well as provide inputs to the medical experts who are still continuously improving this practice. After all, technology continues to innovate and introduce a better way for us to do things. You just need to keep an open mind because things will definitely change more often than we can keep up with these updates but if it means saving people lives, then we’ll just have to be flexible enough to accept these changes and enjoy a better quality life that isn’t always highlighted by sickness or death.